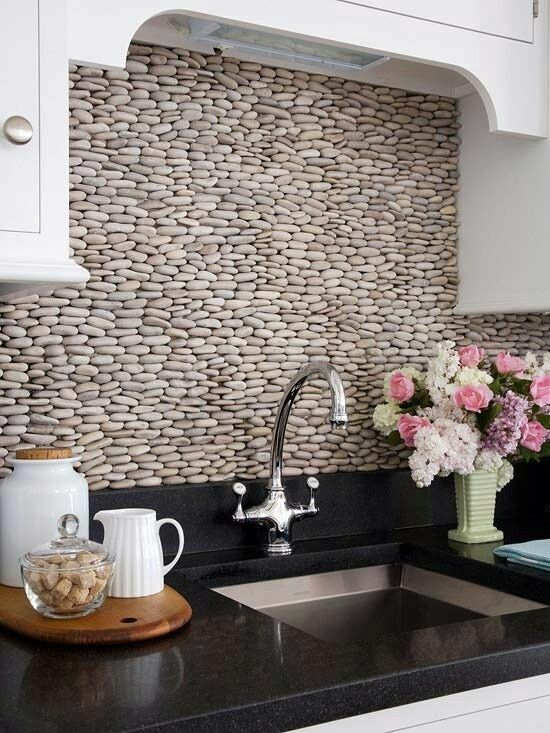 Stacked pebbles as a backsplash. Mind blown. Now, I want to decorate a river house. 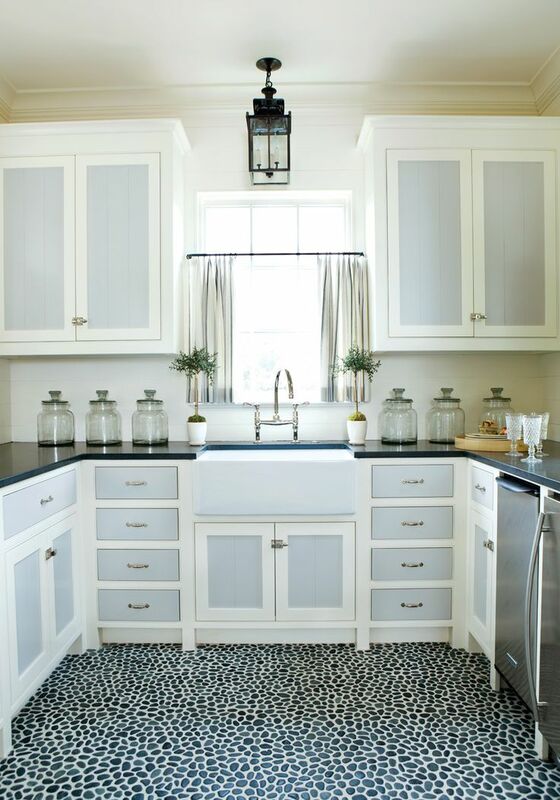 Or, how about stacked pebble backsplash for a Tahoe house laundry room? 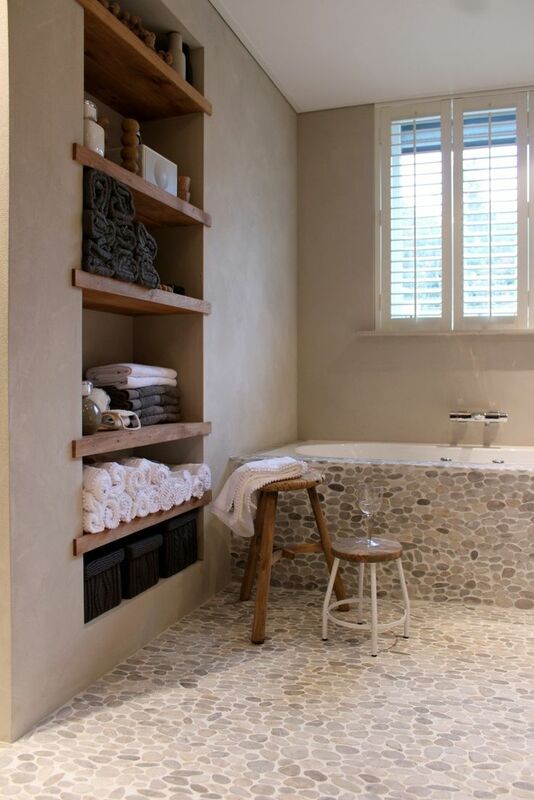 I pitched pebble flooring for a bathroom once before but we ended up going a different direction. Here’s to one day finding the right client and the right place to put some pebbles on it.